American High School Academy offers students hundreds of courses and many learning pathways so you can meet your needs for virtual and blended learning, credit recovery, dropout prevention, alternative education, English language learning, summer school, and more. 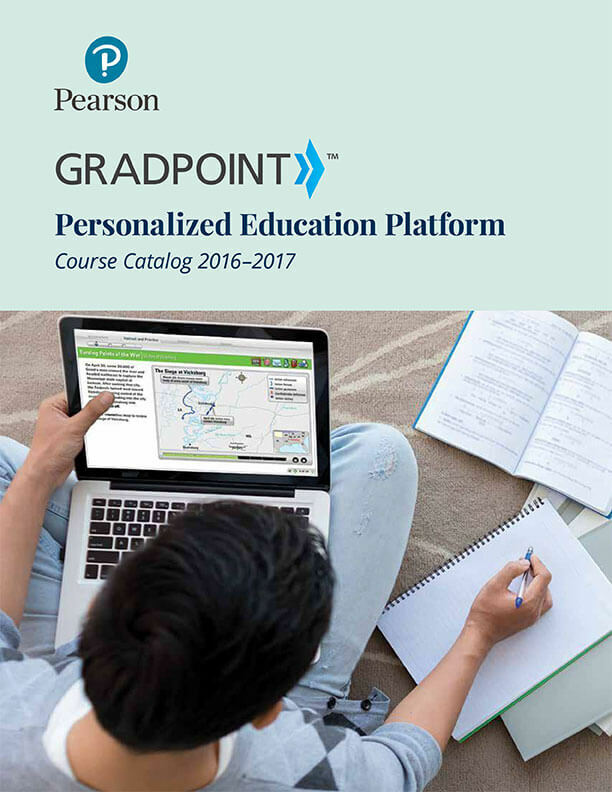 And, to make your life easier to organize, we offer all this on one platform — Gradpoint™— allowing you to consolidate all your courses in one area and focus on your studies rather than navigating course delivery systems. Look throughout the Course Catalog to determine which courses and pathways are right for you. Click on the image to open and download your copy of the GradpointTM Course Catalog.